For many years, the paint I've used the most for cabinets has always been Pro Classic semi-gloss (acrylic) from Sherwin Williams. I've had good experiences with this product, but one thing I've always disliked about the paint is that it sags easily when sprayed. I've also found the finish of Pro Classic to be slightly soft and rubbery. I wanted to upgrade to a paint that would dry harder for long-term durability, especially for use on cabinets. 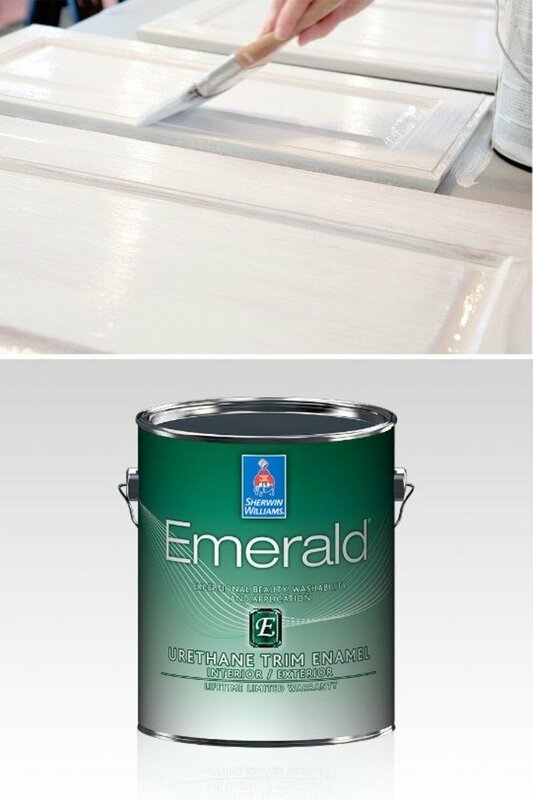 I recently used Emerald urethane to spray paint oak cabinets and I was very satisfied with the results. This product should not be confused with the regular Emerald interior paint. The urethane version is a water-based, modified alkyd, best for use on trim, doors, and cabinets. I was actually skeptical about using this product because I'm not a fan of the regular Emerald interior paint, but the two paints are completely different. Does the Paint Level Good? When spraying cabinets and doors, using a paint that levels is a must. If a non-leveling coating is used, the material won't lay out over the surface, causing uneven paint build-up and imperfections to dry exactly how they look when sprayed on. 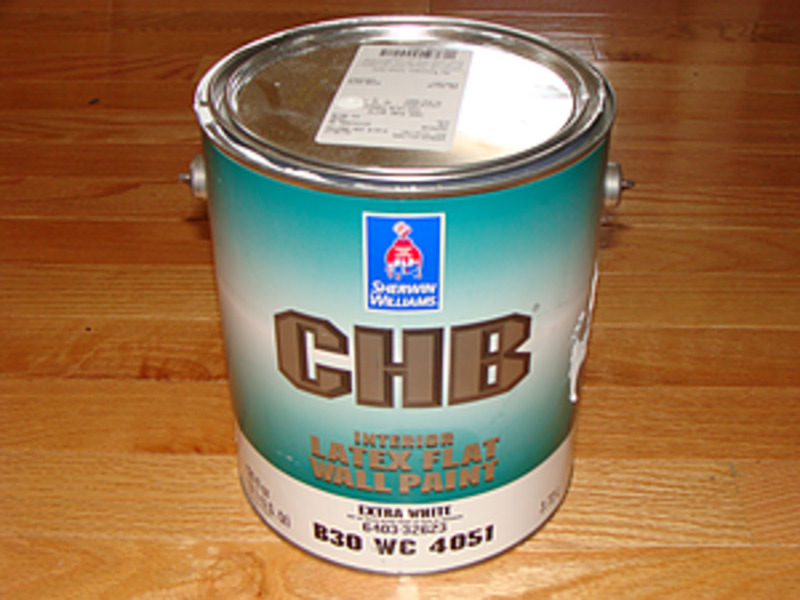 I spray painted oak cabinets with this product and found it to level exceptionally well over two sanded coats of BIN shellac primer. The first coat leveled better than the second coat. I found that the second coat had to be sprayed heavier to build up the paint for even leveling. Spraying the second coat too fast would result in texturing that wouldn't level much. Compared with the leveling quality of Pro Classic, I found Emerald urethane to perform the same, if not better. 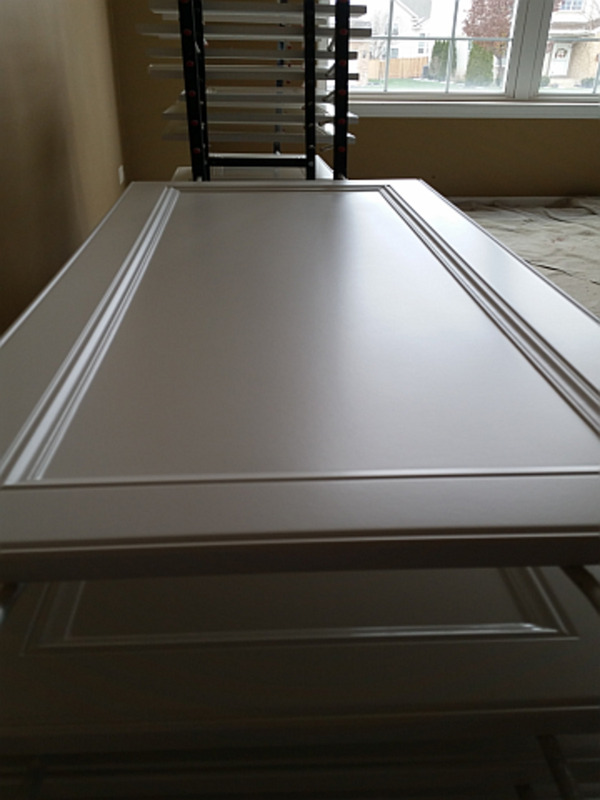 I sprayed and stored the cabinet doors horizontally, using the Door Rack Painter racks, and the paint leveled on the doors uniformly without any drips. One of the reasons I wanted to try this product on cabinets is because it's supposed to dry harder than basic trim paint, and using a urethane paint would make the surface more durable for cleaning. No need to top coat the paint with a clear coat. Sherwin Williams Emerald Urethane does dry noticeably harder than Pro Classic. The paint isn't gummy, or soft, once cured. When I remove cabinet doors to spray them, I number the back side and stick a small piece of blue tape over it. Removing the tape from the doors at the end of the job was difficult. I had to carefully scrape the tape pretty hard to get it out of the dried paint. The re-coat time for this paint is four hours. The paint was dry to the touch in about that time. The final coat of paint dried somewhere between four and six hours. I let the doors sit on my drying racks in my garage for five days before wrapping and delivering them to my customer for installation. I found the paint to be noticeably harder to the touch after two days had passed, passing the fingernail test. The paint finish itself feels harder than other paints I've used. I wrapped the painted doors in moving blankets and delivered them to my customer without any issues. I used the semi-gloss finish on the cabinets I painted. A satin and gloss finish are also available. My Sherwin Williams store had recommended the semi-gloss finish for cabinets because they said the satin finish is too dull. The semi-gloss finish of Emerald urethane is similar to Pro Classic semi-gloss, but maybe a little more glossy. I've read complaints online by people saying the semi-gloss finish was dull, but in my experience, two coats of semi-gloss over two coats of BIN shellac primer was the perfect sheen for cabinets. Even the first coat looked very shiny, but the second coat looked even better. The semi-gloss finish is very smooth, perfect for washing. In my opinion, it's insanely overpriced. The regular price for Emerald Urethane enamel starts at $89 per gallon. Yes, that's $89 per gallon without discounts, or coupons. If you're painting cabinets, you'll only need two to three gallons anyway, but still, that's a lot of money for paint. 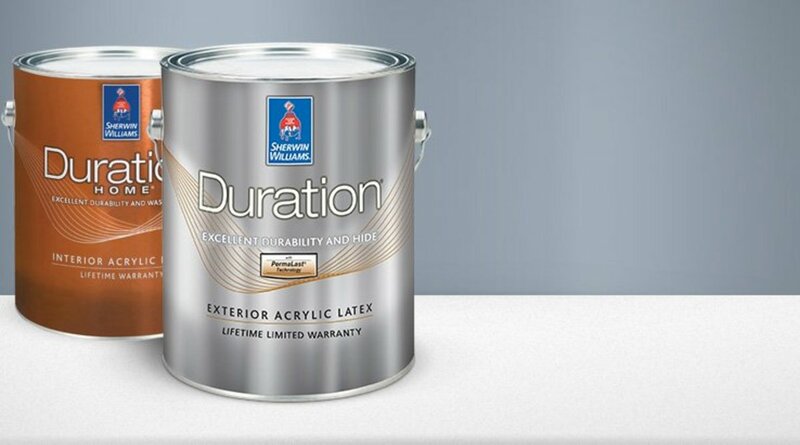 If you don't already have an established store account with discount paint pricing, Sherwin Williams runs 30% to 40% off paint sales throughout the year, which saves a lot of money if you're patient and wait for the next sale. You can also apply for a Pro charge account at your local Sherwin Williams store to get discount pricing. I also recommend signing up for their Paint Perks option to get coupon codes on paint and supplies via text message. I get notifications for discount deals on a weekly basis. Is Sherwin Williams Emerald Urethane Worth It? I've only used this product one time on cabinets, as of this writing, but so far, I'm very satisfied with the results. If something changes, I'll update this review. I can't comment on its performance for brush and roller application, since I've only sprayed it with an airless sprayer, but for spraying, the paint levels really well and dries harder than other paints I've used. In my experience, this paint doesn't sag easily on vertical surfaces, unlike Pro Classic, which can be a nightmare to work with if you aren't careful. I sprayed two thick coats of Emerald on cabinet wall boxes and had no issues with dripping paint. The paint levels, but holds in place without sagging, which I really like. This paint smells like Play Doh. A mask is definitely needed when working with this product, especially if you're spraying. The odor lingers for a while, probably due to the alkyd modification. 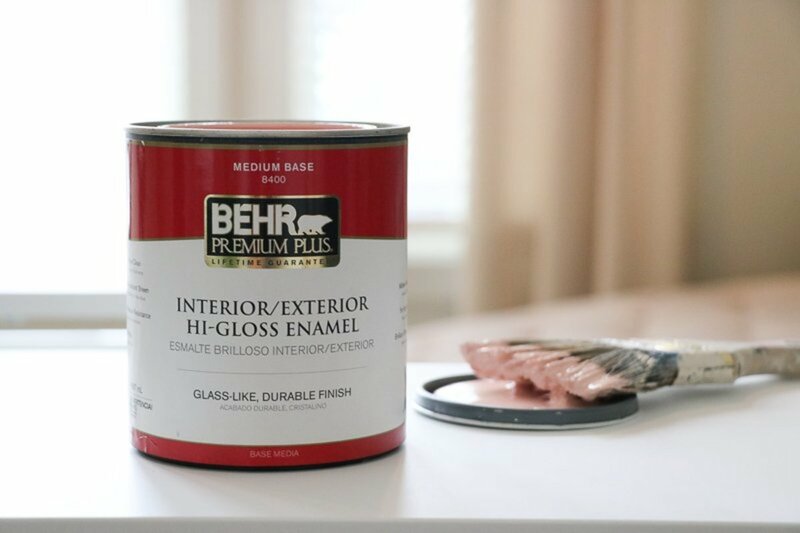 I can't comment how this product compares to paints like Cabinet Coat, or Break-Through, since I haven't used those products yet, but when compared with other trim paints I've used from Sherwin Williams, this is a solid upgrade. The full price of $89 per gallon is overpriced, so definitely take advantage of available discount options. 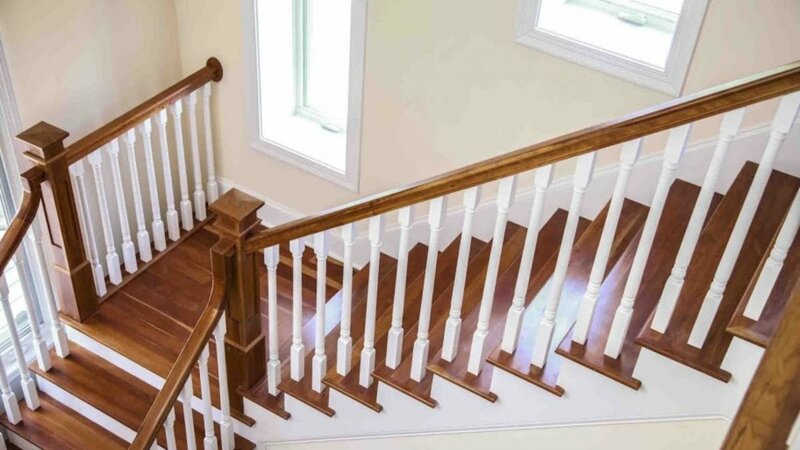 What primer did you use with Sherwin Williams Emerald Urethane and did you have to apply a sealer afterward? I read some reviews that Sherwin Williams Emerald Urethane paint takes a long time to dry/cure. How was your experience in this? Also, can deglossing replace sanding? The dry time isn't bad. The re-coat time is four hours, but this all depends on the air temperature. The first coat took around six hours to dry because I sprayed the doors in my garage and it was hot and humid. The second coat dried in about three hours. The paint dries hard the next day. No, you should always sand. Setting up to spray a final coat of this product on a job that the other guys got fired from because they're hacks. Just curious if you reduced it for hvlp or if you used a finished tip and an airless. We haven't used this one yet? When I spray cabinets, I use a Graco 210 FFLP tip (green) with my airless. A 310 tip is good too, but less overspray with the 210. You don't need to reduce Emerald urethane with an airless. I've never sprayed this product through an HVLP, but you'll definitely have to reduce the paint in that case. I sprayed some cabinet doors a little too heavy with the emerald paint and some of them need to be repainted..does this paint sand okay in between coats or do I need to strip down and prime them again ? Since Sherwin Williams Emerald Urethane is a mix, what reducer should I use for this trim paint for a sprayer? If you're referring to thinning, you don't need to thin this paint for an airless sprayer; it sprays fine out of the can. You do need to thin it if you're using an HVLP sprayer, but I have no idea on the ratio or what to use since I haven't had to do that yet with the product. I recommend contacting your Sherwin Williams store for a recommendation. Are you sanding between paint coats? I've read both yes and no, if you do what grit do you use? Yes, I sand between primer coats and once before paint. I usually use 220 grit. I want to paint my kitchen cabinets gray on unfinished oak, can I use the Sherwin Williams Emerald semi-gloss as a top coat or does it only work on white painted cabinets? The cabinets need to be cleaned, sanded and primed first then you can paint them gray with Emerald. Have you had any successes or challenges using Sherwin Williams' Emerald Urethane in darker colors (e.g., navy blues, dark grays)? What sprayer did you use without having to thin this product? I have used it once but had to thin to get it through the srpayer properly. 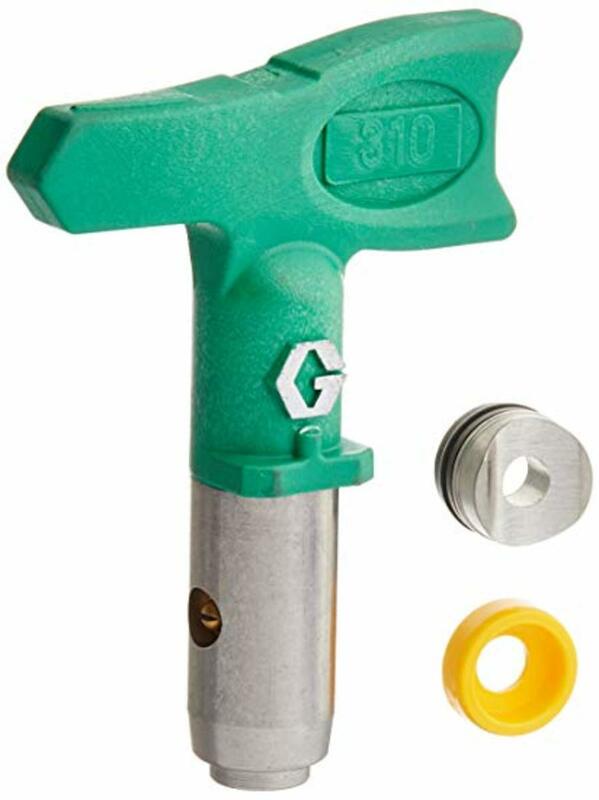 I spray Emerald urethane through my Graco 495 airless sprayer, using a size 212 FFLP tip (green color). It sprays fine through my sprayer with no thinning. What base color did you use for Emerald Urethane Trim Enamel? I am trying to decide from this website: https://www.sherwin-williams.com/homeowners/products/emerald-urethane-trim-enamel. I used the color Snowbound from Sherwin Williams. This color has an extra white base. If you're referring to the color underneath the paint, I prime all my cabinets with BIN shellac primer, which is white. Can I use an antique glaze over Sherwin Williams' emerald semi-gloss (I used antique white) and, if so, can I seal it with a coat of polyurethane? You can, but my local Sherwin Williams store advised against it when I was going to do glazing on one of my cabinet projects because they were unsure about the compatibility between Emerald urethane and the top coats of their Faux Impressions glaze and poly. You might want to speak with your local SW store about this, but if you do glaze them, make sure the Emerald has fully cured before applying the glaze. I'd also test it on one door first before glazing everything. You'll definitely want to apply poly over the glaze as the glaze alone won't be durable enough for cabinets. I'm getting ready to paint my primed cabinets now with this now and want to make sure I don't ruin the backs by not waiting long enough before I flip them. My drying rack is a ladder with PVC pipes running through the steps. Backer coat 1 dries in about 4 hours. Should I apply a second coat and check between 4-6 hours or overnight before I flip them to start the fronts? You'll probably have to let them harden overnight before flipping them. Even though the paint will be dry to the touch in 4 to 6 hours, the paint will be soft and marr easily when flipped over. 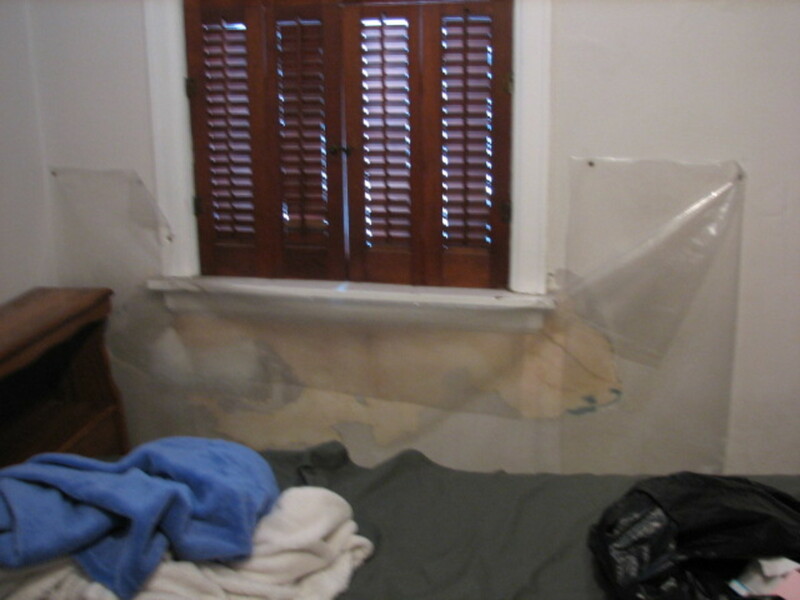 Place soft rags or towels underneath the doors to protect the paint. What primer should I use on Kraftmaid factory painted and distress glazed cabinets? I am unsure if oil based primer will work since I don't know what type of paint Kraftmaid uses. Sanding everything down to wood would be impossible given the amount of detail in these. 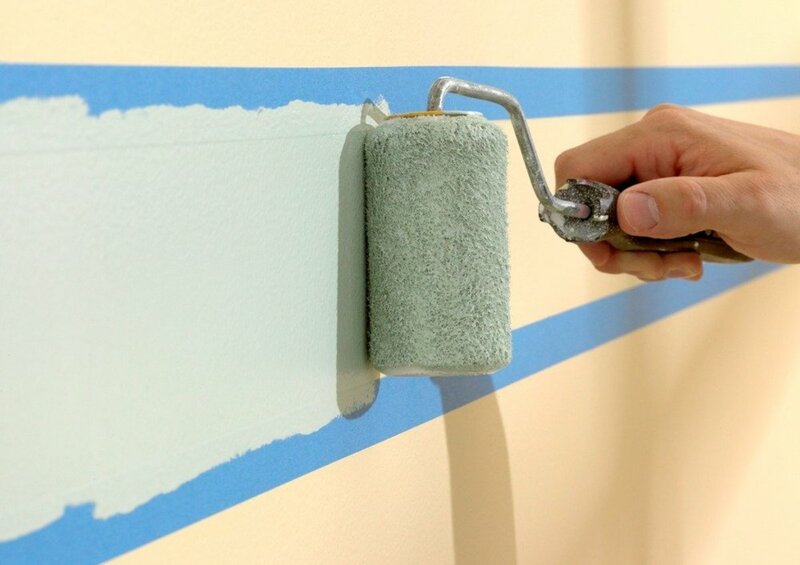 Have you ever used Sherwin Williams, Sher-Wood Kem Aqua Plus? No, I haven't used that product.